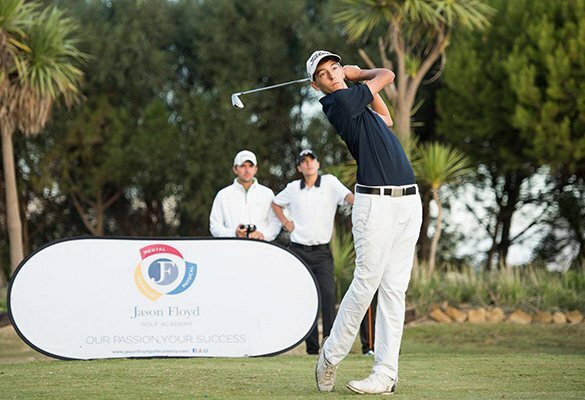 The JFGA Junior Tour acts as a platform for JFGA Student-Athletes and local juniors to continuously play tournament golf all year round. Its a fantastic opportunity to put into practice and implement the new skills they learn on a daily basis into tournament golf without the fear and pressure of performance. Utilising many of the incredible golf courses we are very fortunate to have access to here in the Costa Del Sol including Finca Cortesin, San Roque Old and New Courses and La Reserva to name just a few, we host a tournament every two weeks. All tournaments on the JFGA Junior Tour end with a prize giving ceremony for the Handicap and Scratch winners of the U18 and U15 categories and offer points for the JFGA Junior Tour Order of Merit. If you are interested in participating on the JFGA Junior Tour, please see our Tour Schedule and contact us for more information. The Race to Dubai and The FedEx Cup, two of the biggest titles on the European and PGA Tours. Season long races to golfing stardom, concluding in their own action packed Play Off Series and Tour Championships. How much would you like a piece of that action? Now, you can. The first series of its kind, for Junior Amateur Golfers…Introducing the ACES Series. Commencing for the 2019/2020 season, consisting of 11 tournaments, including Seven 36 hole ACES Series 500 tournaments, Three 54 hole WAGR Ranked Majors and the 54 Hole WAGR Ranked ACES Series World Final. Earn points, ranked by your finish position and the importance of the event and climb the ACES Series Order of Merit to become the ACES Series Champion. The ACES Series will determine the one player who not only performs throughout the ACES Series 500 events and the Majors, but also excels through the pressure of the ACES Series World Final. The ACES Series – “Global Recognition for Elite Amateur Golfers”. The player with the most points at the end of the Series will be crowned, ACES Series Champion! The series will officially start in September 2019, however we are hosting an opening ceremonial tournament for the series in February, The WAGR ACES European Championship, at San Roque Club – New Course, Jan 31st – Feb 3rd 2019. If you would like to participate in the tournament or have any further questions please contact us as quickly as possible as the field will be limited to 90 players. Our vision is to grow the JFGA Junior Tour to become an International Tour, hosting tournaments all over the world, creating an incredible experience for junior golfers to measure their abilities against one another at the finest venues throughout Europe and Asia, while gaining invaluable experience and exposure to collegiate coaches in the United States of America. We aim to provide male and female youths the best experience competing on a high quality and accessible Tour, while opening doors towards their future education and development. Our Tour is ever growing and evolving with the ultimate goal of becoming Europe’s number one Junior Tour and breeding ground for collegiate and professional golfers.